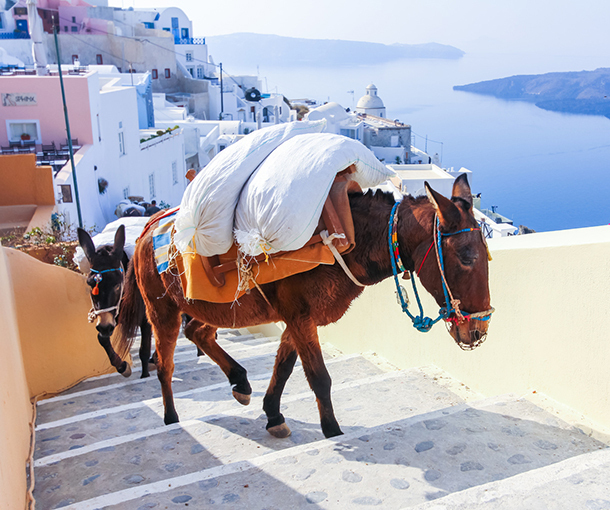 According to Daily Mail UK, the Greek Ministry of Rural Development and Food has implemented a new set of regulations regarding donkeys' well-being, stating that donkeys giving tourists rides in the hilly terrains of Santorini should not carry any loads heavier than 100kg or one-fifth of their weight. 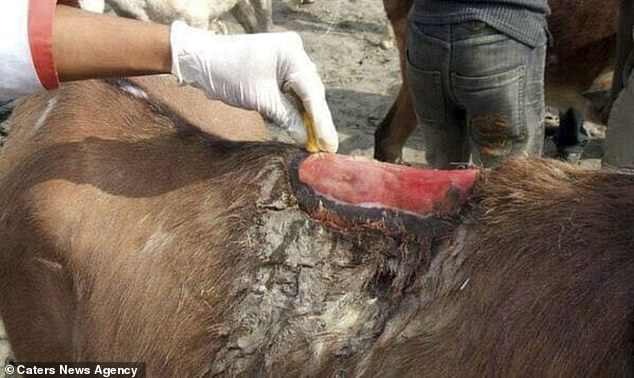 In addition to that, animal rights campaigners have said that the donkeys are being left with spinal injuries and open wounds from all the heavy lifting, working long hours without adequate rest, shelter and water as well as badly-fitted saddles that put a strain on the animals' neck. 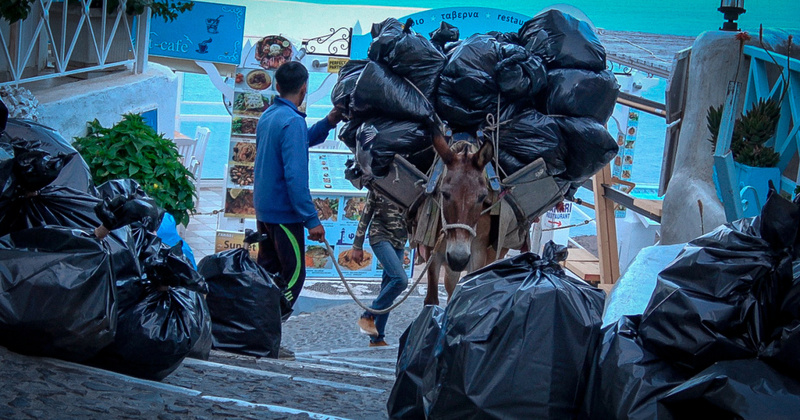 "The holiday season on islands is now a lot longer than it used to be, meaning that the donkeys are pretty much in work the whole year round," Santorini Animal Welfare Association founder Christina Kaloudi said. She also mentioned that if the animals are not transporting tourist up the steps, they are carrying heavy building materials and bags of rubbish. "We don’t want to stop the locals making a living or using donkeys on the steps but to look after them in a fair and humane way," she added. They added that it won't prevent the suffering that the donkeys endure on a daily basis. 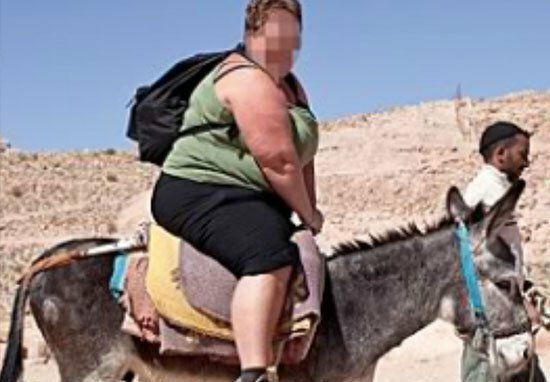 "Donkeys can still be forced to carry a person weighing 15 stone 10 pounds (100 kilograms) up more than 500 steep steps four to five times a day," PETA UK's director of international programs Mimi Bekhechi was quoted as saying by CNN.